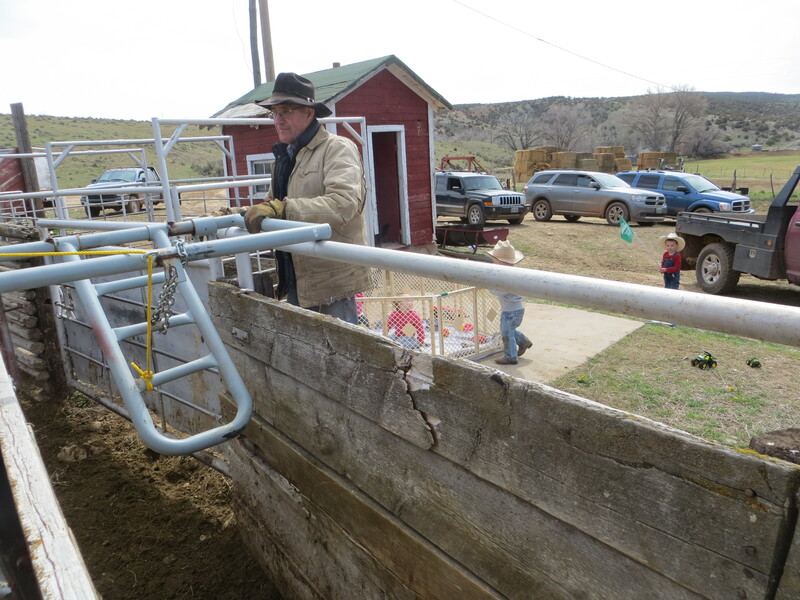 It’s a busy time around here… We can put cows out on our BLM allotments now, so the guys have been working on that, and finally, today, I actually got to ride along! Yesterday was a process day… and everyone was there to help. Here’s Johnny working the alleyway, and four of his great grandchildren doing… whatever. 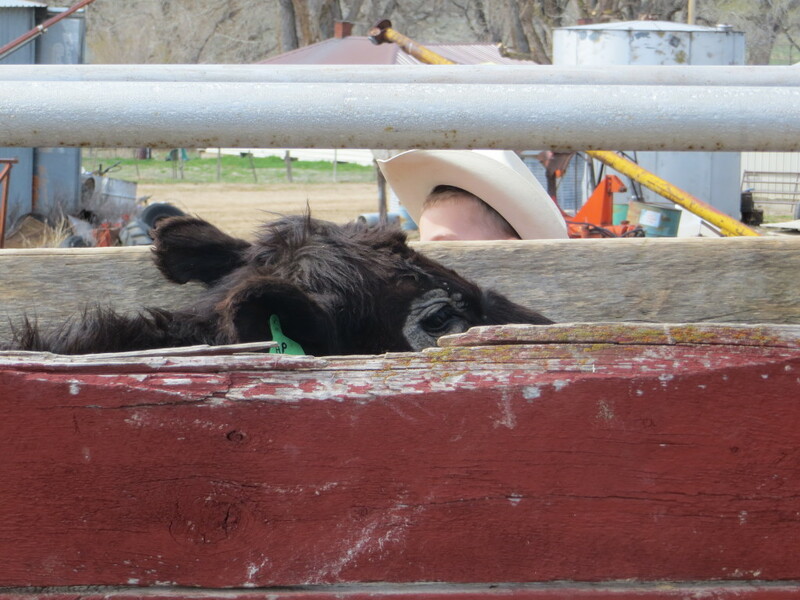 Every little bit, Quinlan would jump up on the walkway to shush the cattle up the alley, although you can see, he’s not quite tall enough to really see what he’s doing! The little girls were fairly happy in their play pen… with moms swinging by every little bit to hand out crackers or toys. 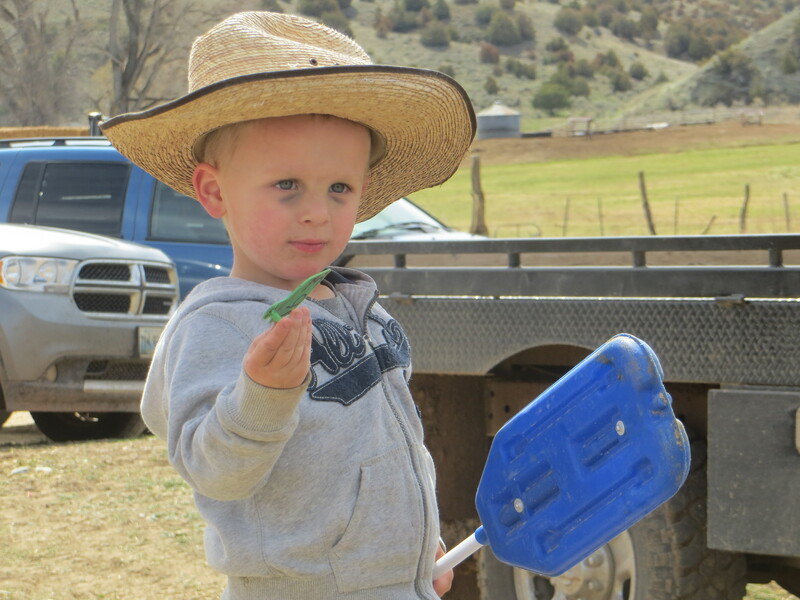 Jaxon found an eartag… anyone want it? 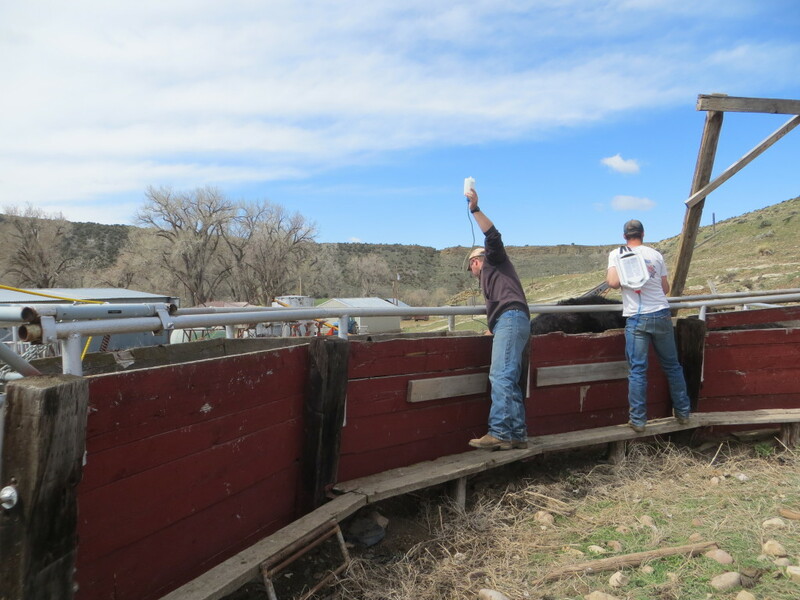 Then, of course, Daniel and Brandon giving mineral shots and wormer. Can you say “family operation”? Many hands make light work – even the little ones! This portrays such a wonderful family, several generation, operation. All working together. It is very heart warming to see. You are all an inspiration and are very lucky to have the opportunity for a life like this. My family is spread all over the country and only see each other once in awhile for a visit. 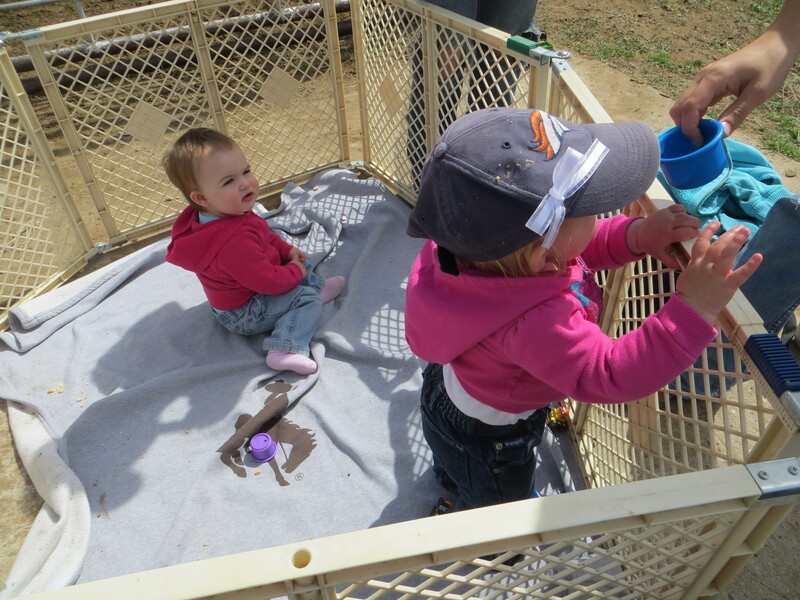 What a nice playpen…and a nice day to all be together outside. Love the pictures. Does Jaxon have two black eyes? poor baby – errr – I mean “poor big boy”. Why yes, he does! Little boys who climb get them!